Dr. Craig grew up in the mountains in north-central Washington. He graduated from Western States Chiropractic College in 1988. He has provided care for patients throughout the northwest over his career and has practiced in Gresham, Oregon for the past thirteen years. He is a holistic healer providing massage therapy, nutritional and herbal counseling, athletic training, Nutrition Response Testing, Reiki and Energy Medicine along with a variety of Chiropractic services to his patients. In his free time, Dr. Craig enjoys exercising and adventuring in the outdoors with his family. Patty Craig is an Oregon native who received her Bachelor of Science in Spanish and her Master's Degree in Education from Portland State University. She taught middle school for 16 years in the Gresham area. 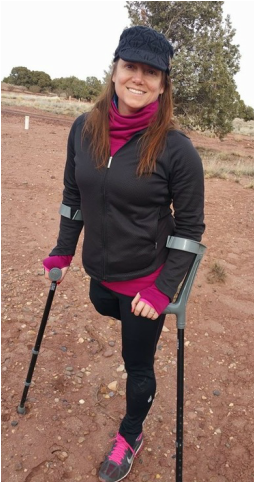 After struggling with significant health complications from stress and the impacts of being an active amputee since losing her leg to cancer in childhood, Patty found remarkable relief with Reiki and Massage Therapy. She soon began Reiki training and is now a Holy Fire Karuna Reiki Master & Teacher. She completed the 800 hour Massage Therapy program at East West College of Healing Arts where she specialized in Neuromuscular Therapy and Craniosacral Therapy. She savors the opportunity to empower others through gentle, holistic bodywork. Raising their two teen boys also keeps her on her toes.